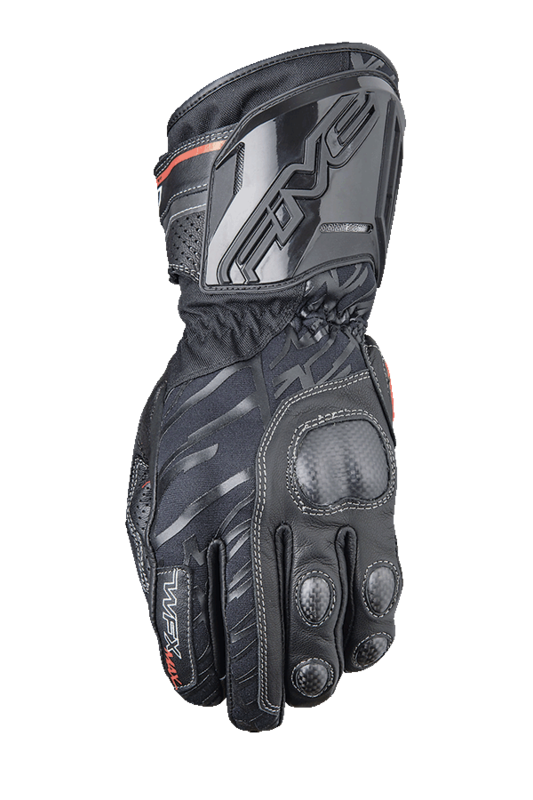 The WFX Max may be considered the sportiest and most visually aggressive of our technical winter gloves, specifically due to its injected PU forearm protective shell borrowed from our high-end Racing glove, the RFX Race, and its visible carbon protective shells. The list of its features goes on and on: a neoprene topside and total Digital Pittards® leather palm for exceptional grip and texture in the rain. A double-cuff on-off system that includes a first, relatively tight neoprene cuff for good thermal insulation and a weatherproof effect, combined with a wider cuff to place over your jacket. A new weatherproof, breathable OutDry® membrane. Thinsulate™ 200 g lining for optimal thermal insulation. 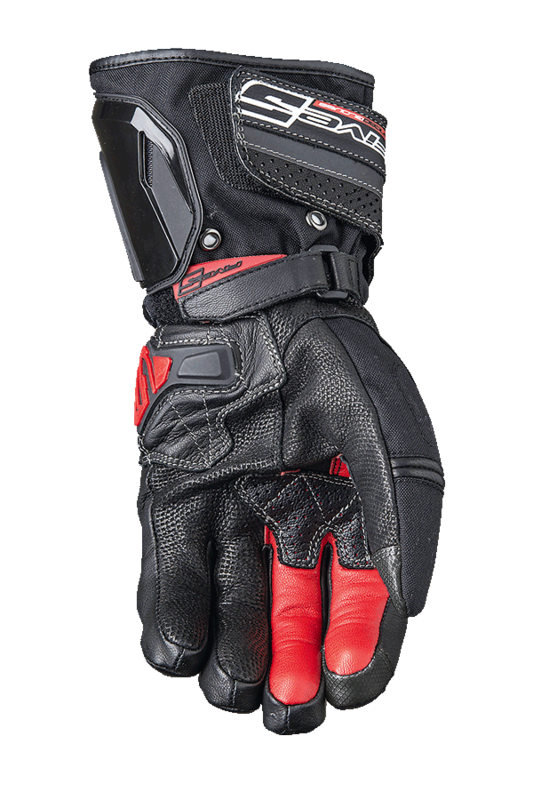 In other words, the WFX Max gives the max and offers exceptional comfort and steering sensitivity for a winter glove.